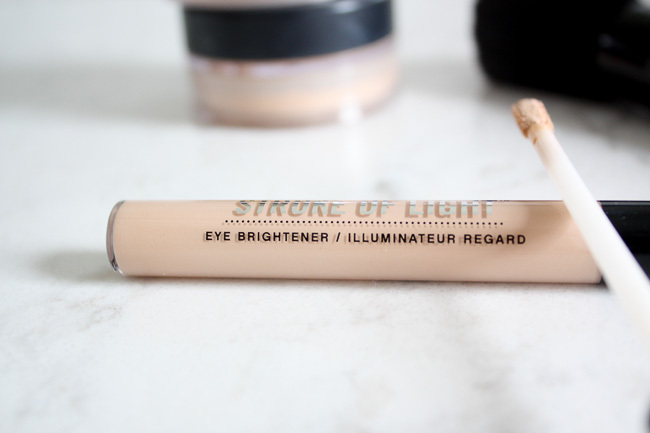 It has been a couple months since I purchased the bareMinerals Stroke of Light eye brightener, and after using it everyday since then, I can confidently say I love it! I had been looking for a good under eye concealer for a while before deciding to give this one a try. There are so many out there that I didn't even know where to begin as far as which one I should go with. 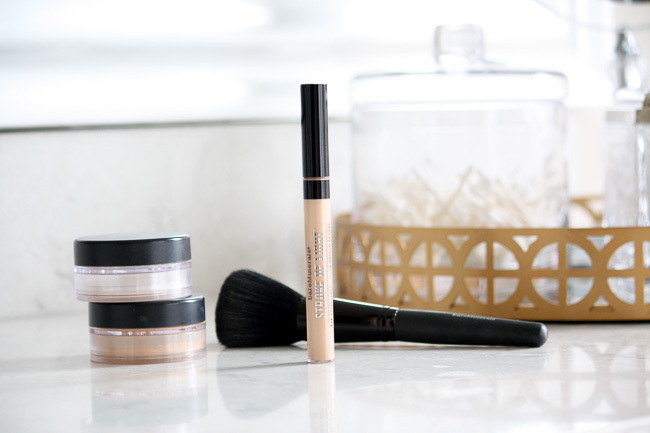 For a few different reasons, I chose the bareMinerals Stroke of Light eye brightener and concealer, and I am so glad I did. I had heard good things about it from reliable sources, the price was right, but the biggest factor influencing my decision to try this one was I am a longtime bareMinerals user and fan. I use both the bareMinerals Complexion Rescue and their matte foundation every single day, so it just made sense to try something new from a brand I already used and loved. What I love so much about the bareMinerals Stroke of Light is that it really functions as both a concealer and an under eye brightener. You get the benefits that both provide but it doesn't feel heavy or dry while on. 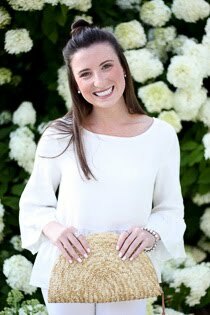 Dark circles and imperfections are noticeably reduced, and my under eye area is instantly brighter and refreshed. Regardless of how much sleep I'm running on, the bareMinerals Stroke of Light helps keep me looking well rested and illuminated all day long. 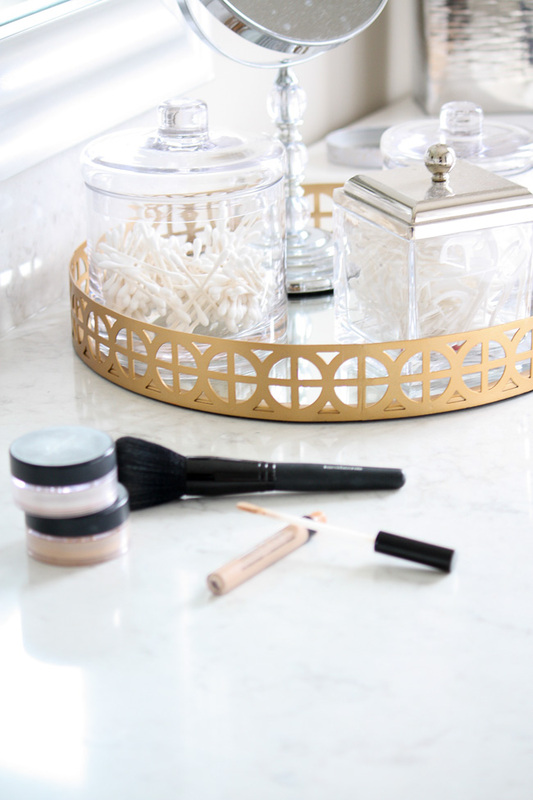 It is perfect for light makeup days when I just use it with the bareMinerals Complexion Rescue or for the days when I used all the makeup in my makeup bag. 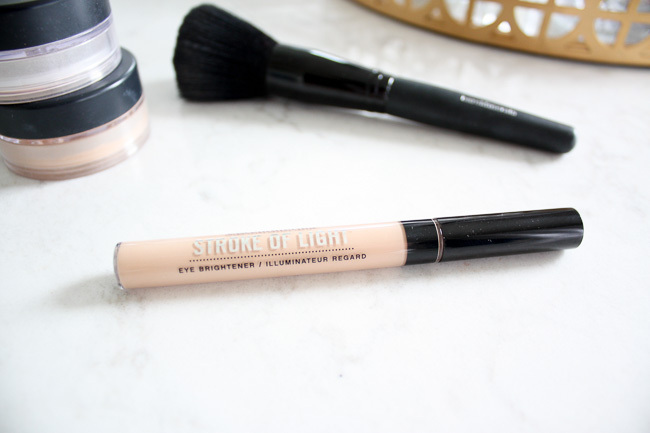 If you are in the market for a new concealer or just interested in trying something new, I definitely recommend trying out the bareMinerals Stroke of Light eye brightener. I think we can all agree that brighter, well-rested looking eyes are something we all want. 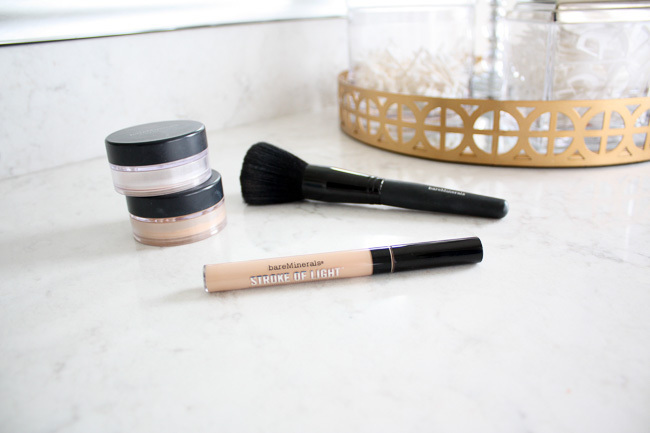 Give bareMinerals Stroke of Light a try and I promise you've got just that! Just for reference! 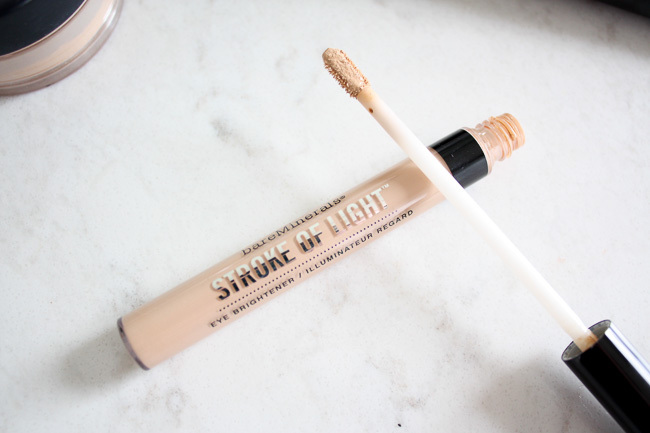 I've been using the luminous 2 shade Stroke of Light, which works so well with my fair skin tone. In the matte foundation I use the fairly light shade and they have been blending perfectly. Where is the tray from?? Marshalls! Such a great find, right!? I would have linked it if I could! But here is a similar one from Target!